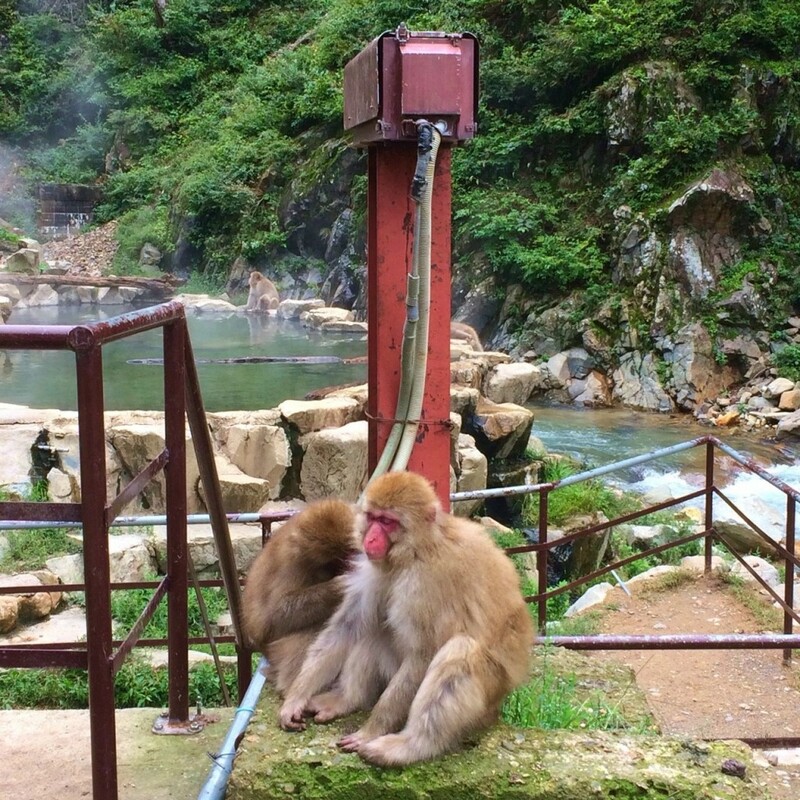 Autumn has arrived and with that, the temperature is dropping and the landscape is shifting in color and hue. 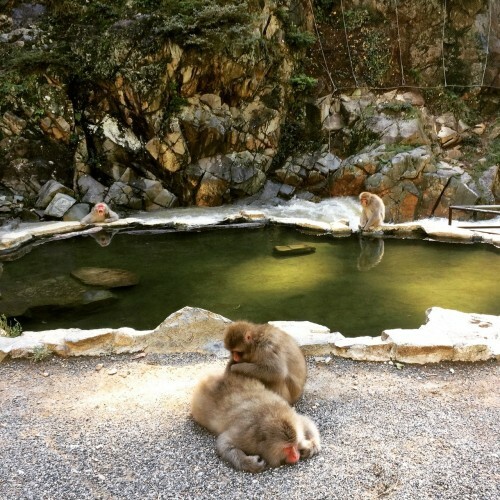 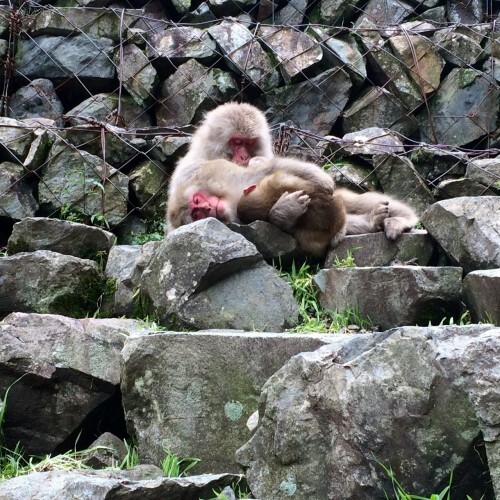 It’s a beautiful time of year to visit the Snow Monkey Park and through early-October, the monkeys have been coming in good numbers, seemingly enjoying the autumn sun and abundance of wild food available in the forest. 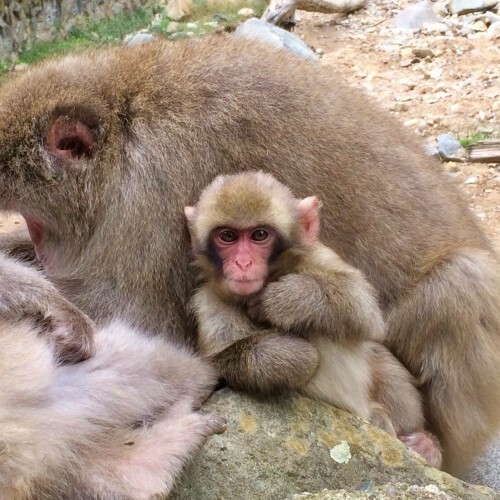 Through October, the monkeys are somewhat unreliable. It is mating season and monkey minds are preoccupied with other matters. The combination of this with the food – wild vegetables and fruit, nuts, and berries – available through the forest, means that the usually reliable monkeys become a little tardy in their arrival time and the numbers in which they come. Despite their occasional bad attendance, the monkeys have been coming in good numbers through October. 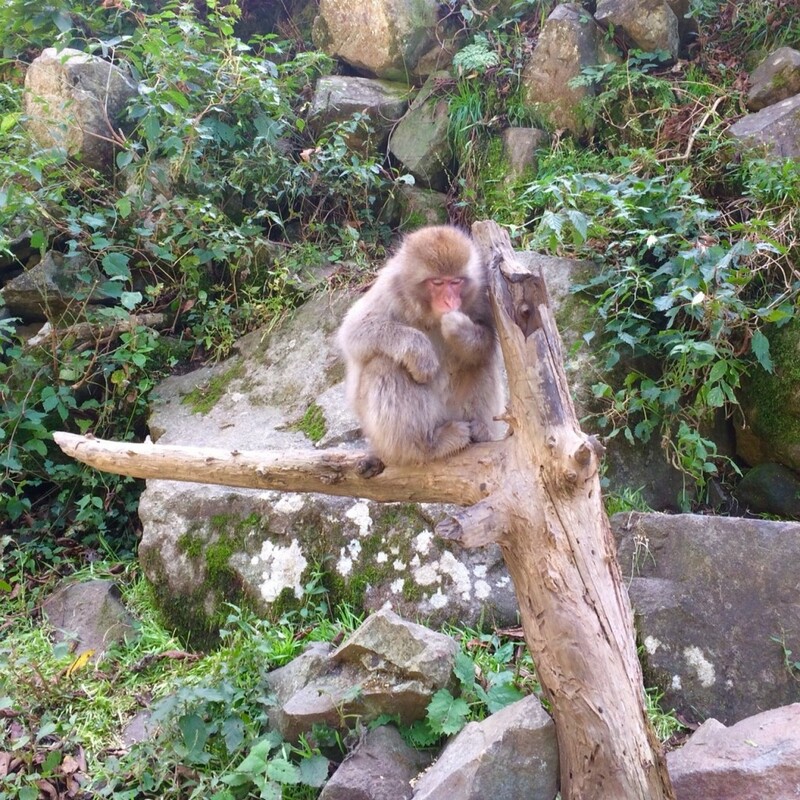 Basking in the autumn sun, grooming, and foraging for wild food keeps them content and busy, with occasional bursts of bravado from the males looking to prove themselves with potential mates. 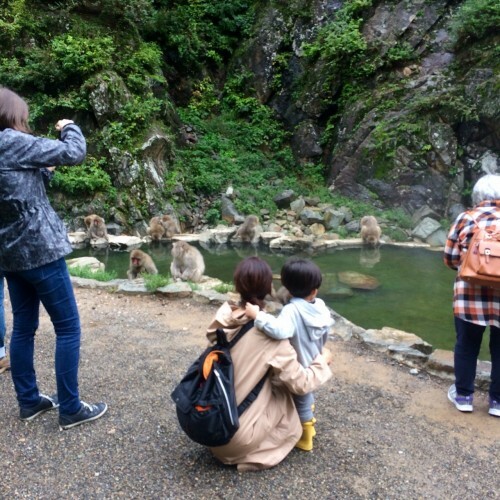 Now that the summer heat is fading memory, the park is becoming busier with autumn visitors also making the most of the beautiful weather and bright sunshine. With the first snow likely to fall within 4 to 5 weeks, this is one of our favorite seasons in the park – a chance to enjoy the last warmth of 2018. This year’s babies are now getting big and full of confidence, roaming the park and clambering their way through and over any obstacle they encounter. 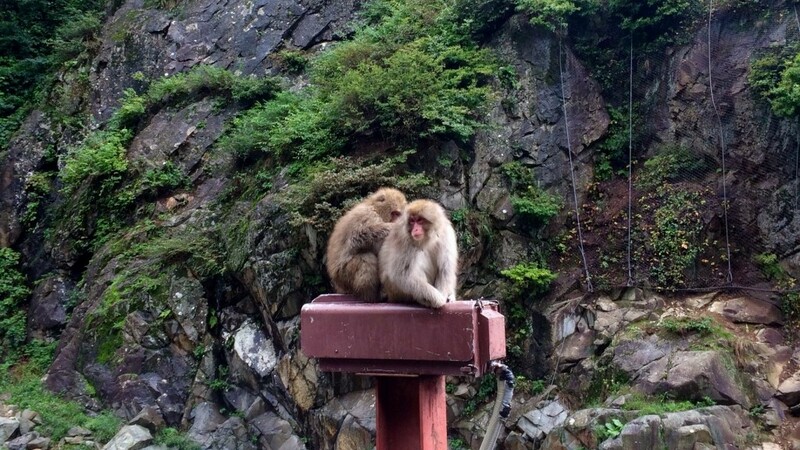 They remain very curious about visitors and often lock their large glassy eyes on us, gazing and wondering why we are there. Snow Monkey Resorts is Nagano’s No.1 tour provider! 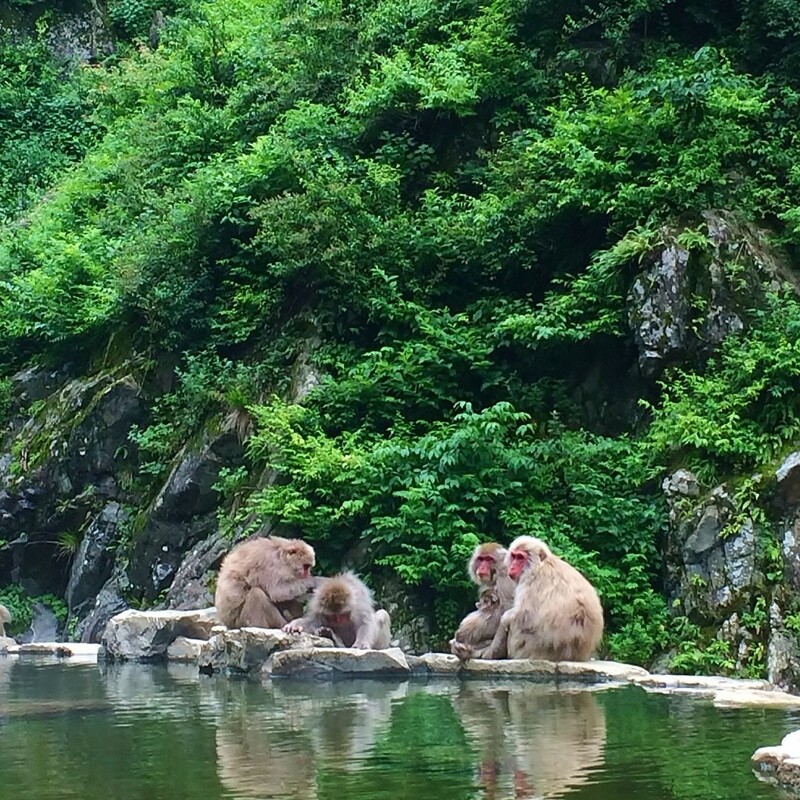 Locally-based and operating throughout the year, our guides welcome guests to Nagano and the monkey park every week. Led by an English-speaking guide and including lunch, combining your visit to the park with other local destinations is a great way to get the most out of your time in Nagano and turn your visit to park into an experience you won’t forget! 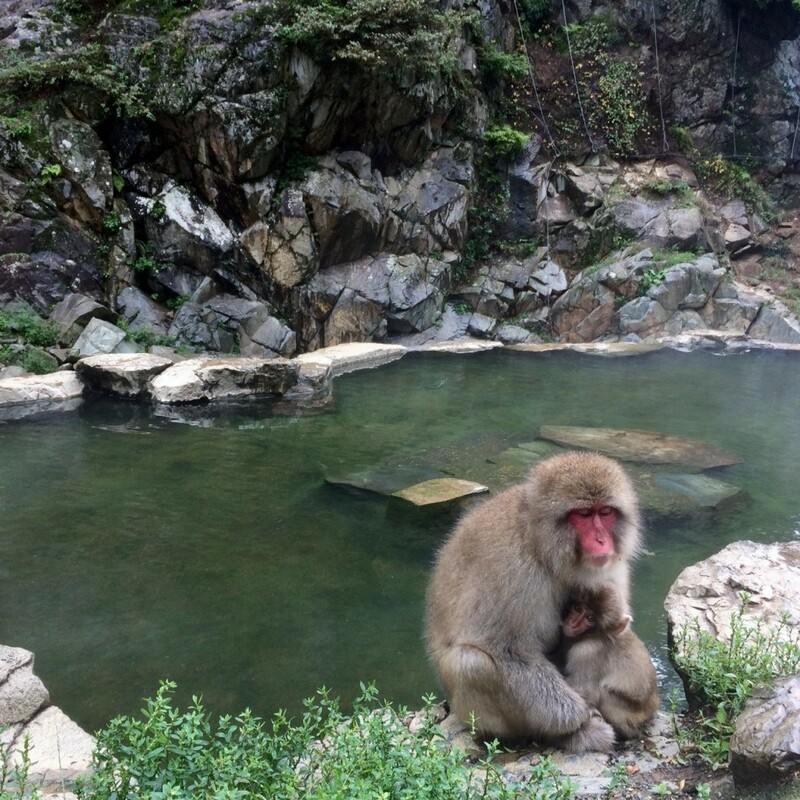 We look forward to welcoming you to Nagano and introducing you to our favorite, famous monkeys!